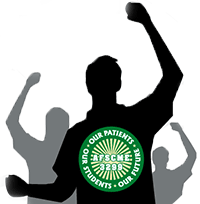 Marathon negotiation sessions between AFSCME and UC have resulted in a tentative agreement, averting a threatened strike by 13,000 patient care technical workers, who work mostly at UC’s 5 teaching hospitals. The tentative deal includes up to 18 percent in pay increases over 4 years, and preserves a single-tier pension in exchange for increased employee contributions. A ratification vote is scheduled for later this week. UC agreed to a contract with AFSCME’s service workers last month. Meanwhile, UC’s medical centers plan to slash up to $150 million from their annual budgets, the San Francisco Business Times reports. “UC’s $7.5 billion clinical enterprise, including the five medical centers,” gets essentially no support from state general funds, according to the Times. The California Assembly has shelved a proposed constitutional amendment on racial and gender preferences for public university admissions. “No quick fix for troubling issues of race” at UC, the Sacramento Bee editorialized. The Bee also reports that the legislature decided instead to convene a task force to study admissions procedures among California’s higher education systems. UC's revised "sexual harassment and sexual violence policy is a mixed bag," according to UCLA Daily Bruin columnist Julia McCarthy, because it is still vague "on details of exactly what training campuses must provide to students." "About a quarter of UC students, faculty and staff reported that they had experienced some exclusionary, intimidating or offensive situations on campus and 9% said that had interfered with their abilities to study or work," according to results of a UC survey described in the Los Angeles Times and the San Jose Mercury News. It asked more than 100,000 students and employees across the system about the social and workplace climate at the campuses. The report comes as the state Legislature’s Select Committee on Campus Climate had begun holdings hearings on the UC and CSU systems. President Obama will speak at UC Irvine’s commencement ceremony this year.